While shooting some macros of some flowers found a stem with a LOT of critters! eek! aphids! :lol:sure are a lot o' them little fellas, aren't there! nice close-up work, though! A little Army:lol: lol thats close up Jim was it with the RAynox. Good one. Did you notice their little red eyes? Neat! Did you grab some insecticide right after you took the photo, or was it not your flower? I once took a picture of my front yard full of dandelions (pretty picture), right before I got the weed-wacker out. 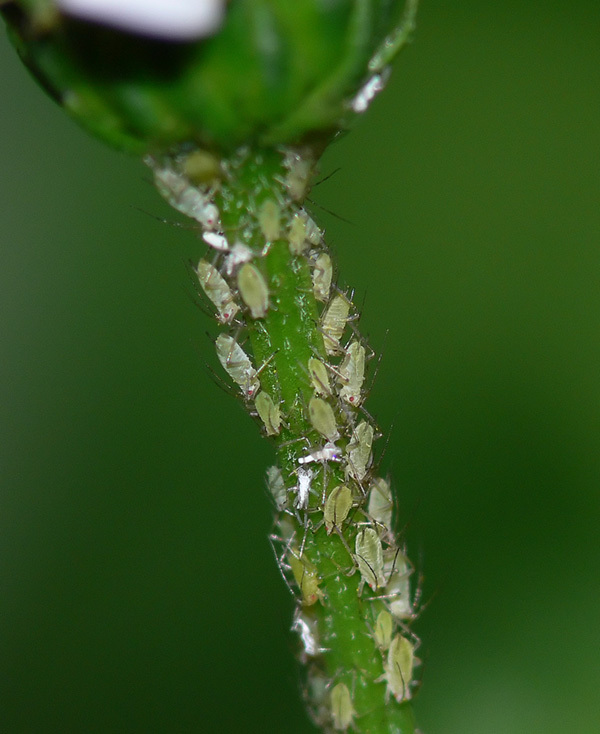 Great shot of the aphids! If that's your yard wash your plants with pressure insecticidal soap from a hose end sprayer. Regular insecticides will kill all the good bugs that eat aphids.